Destiny Number - Destiny Number, Soul Urge and Inner Dream Number! Whether you’re relatively new to numerology or not, you’ve probably encountered the idea of using your date of birth as a method of personality exploration. People use it all the time with Zodiac signs or phases of the moon or planet alignment. In this article we are going to explore a somewhat similar concept. The key difference being that we’ll be using your birth name, not your date of birth. This will allow us to calculate your destiny number. In this article we will use birth name numerology to explore destiny numbers, your inner dream number and more. What is destiny number? Well, if you’ve heard of an expression number then it’s the same thing. This number offers you an insight into your own strengths and weaknesses. Ultimately, it allows you to know roughly how you would handle any given situation you may encounter and in turn, it helps you to see what your destiny has in store for you. Destiny numbers don’t predict the future but they do allow us to have a better understanding of it and of ourselves. After all, the number can sometimes reveal talents that we were completely unaware of. How does this work? Well, in order to understand this number a little better, we need to understand that basics of numerology. When you get down to the tiniest building block of the universe and everything in it, we find that it’s all just vibrational energy. Everything has a different energy level and so appears or acts differently in relation to anything else. 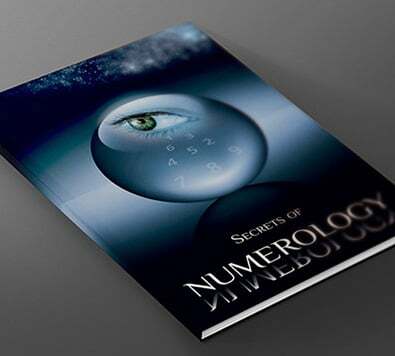 Numbers carry their own vibrational energy and letters can be assigned a number, allowing us to better understand their energy as well. Through deciphering a name, we can get a better grasp on a person’s energy levels at birth. What is my destiny number? Birth name numerologyis incredibly simple. It may seem a little confusing at first but we’ll go through it step by step. For some forms of numerology, you might only use your first name or last name but when it comes to destiny numbers, you need to consider all of your names (first, middle and last). To demonstrate, we’ll use a name that many people will recognize: Peter Parker. We’ll just use a first and last name here but remember that if you have a middle name, you need to use consider it as well. Before we begin to calculate, you need a key for assigning each letter a numerical value: 1 (A-J-S), 2 (B-K-T), 3 (C-L-U), 4 (D-M-V), 5 (E-N-W), 6 (F-O-X), 7 (G-P-Y), 8 (H-Q-Z), 9 (I-R). We now just go through the name and assign each letter its value. Peter would look like P=7, E=5, T=2, E=5, and R=9. Parker would be P=7, A=1, R=9, K=2, E=5, and R=9. We then work out the sum of these numbers for each name. So Peter would be 28 (7+5+2+5+9) while Parker would be 33 (7+1+9+2+9). We can’t work with double digit numbers so we have one final step: Number reduction. Full name numerologysuch as that with a destiny number often results in large numbers. It’s rare for somebody to get a single digit from their name and some people will even make it to triple digits. In order for us to understand the base energy level, we have to reduce these numbers to core numbers (i.e. single digits). This is an incredibly simple task. We will use the same Peter Parker example and so we have the number 28 and 33. To reduce a number, you simply combine the single digits within the number itself. So for 28 we do 2+8 which gives us 10. Obviously 10 still isn’t a single digit and so we simply repeat the process again (1+0) which gives us 1. For 33, we do 3+3 to get 6. Once you’ve reduced each name’s number to its core value, you combine the numbers. 1 (from Peter) + 6 (from Parker) =7. So Peter Parker would have a destiny number of 7. If you get a double digit at this stage, you can reduce it in the exact same way as before until it is a single digit number. What is my Inner dream number? What about your inner dream number? This is another method used to explore your numerology birth name. This number relates to your public persona i.e. the parts of your personality which you’re happy to display and which other people see every day. Calculating this number is easy and is basically the same as the method used for your destiny number, the only difference being that you only use the consonants in your name. You can use the same number/letter key as before. So Peter Parker would be P=7, T=2, R=9, P=7, R=9, K=2 and R=9. This gives us 18 and 27 respectively. Once reduced and combined, the dream number would be 9. What is my Soul Urge Number? Your soul urge number is also pretty similar to your numerology destiny number. This number represents your core motivations i.e. what drives your actions and decisions in life. Ultimately it relates to desires that you may be unaware of such as subconscious desires. We calculate this using the opposite technique from your inner dream number in that you only use the vowels in your name. If we use the same example, Peter Parker would be E=5, E=5, A=1, and E=5. This gives each name 10 and 6 respectively. Once reduced and combined it would be 7.